Is your kitchen not as beautiful as it used to be? Maybe time or wear and tear has taken its toll on your food prep station. If you want to spruce up and add some dimension to your kitchen, here are several kitchen remodeling tips that can help you transform your drab pantry into a dream galley. Is your kitchen too cramped up? Thankfully, there are kitchen interior decoration ideas that can help you choose a shape that complements the floor area. If your kitchen shares space with another room, say your dining area or living area, then remodel your kitchen to an L-shaped style, with the refrigerator at the longer side, the sink in the middle, and the stove at the shorter side. If you want to prepare your meals without going the distance, then redecorate your kitchen to a U-shaped room where the stove, sink and fridge are located on each side. If you want your kitchen remodeling ideas to turn out the way you have envisioned them, then you need to take note of the proper placing of furniture pieces and appliances. For best results, make sure you align the sink, refrigerator and the cooktop in a space of 12 to 23 feet. Keep the sink in between the two appliances, as it is the most used fixture in the kitchen. If you have a small kitchen, you can add space by taking over some space from your pantry, closet, or the next room. Adding windows, installing a skylight or creating a cathedral in the kitchen is a great way to create an illusion of a bigger space. To increase your space further, install an island with casters or a peninsula with drop-down segments. Interior fittings such as lazy Susans and dividers can help you organize the usual clutter of your kitchen. 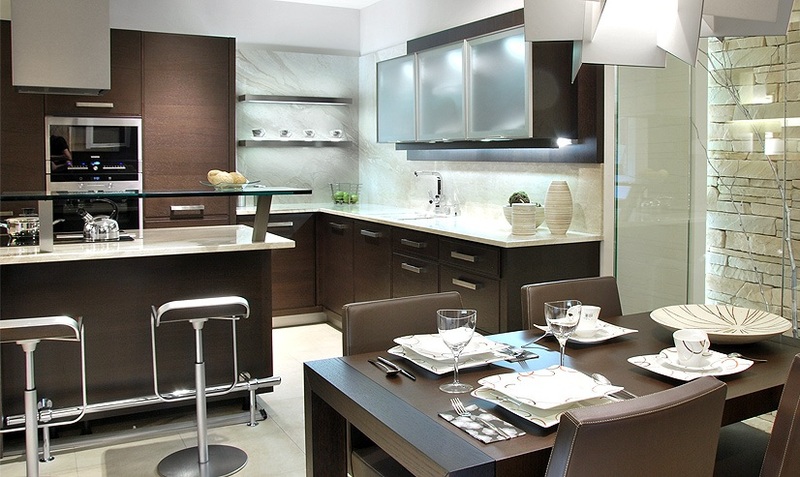 For the kitchen color, use pale and solid colors that harmonize with one another. If you’re thinking of purchasing new equipment for your new kitchen, then it’s best to go with items that are free of obstacles and blockades. Appliances like the refrigerator, sink, or dishwasher,will make your space look clutter-free. If you want kitchen furniture that will provide you with the most convenience, then opt for pull-out drawers instead of conventional ones. Items in traditional cupboards can be hard to reach, as you may need to get on a chair to get them. If you don’t have enough money to purchase a new cabinet, you can have pull-out drawers retrofitted in your existing cupboard. If you want to make your kitchen a lively space for preparing food and bonding with your loved ones, then these tips can help you get the best look the hassle-free, economical way. With careful canvassing and buying, you won’t have to end up spending a lot when it comes to the cost of remodeling your kitchen.